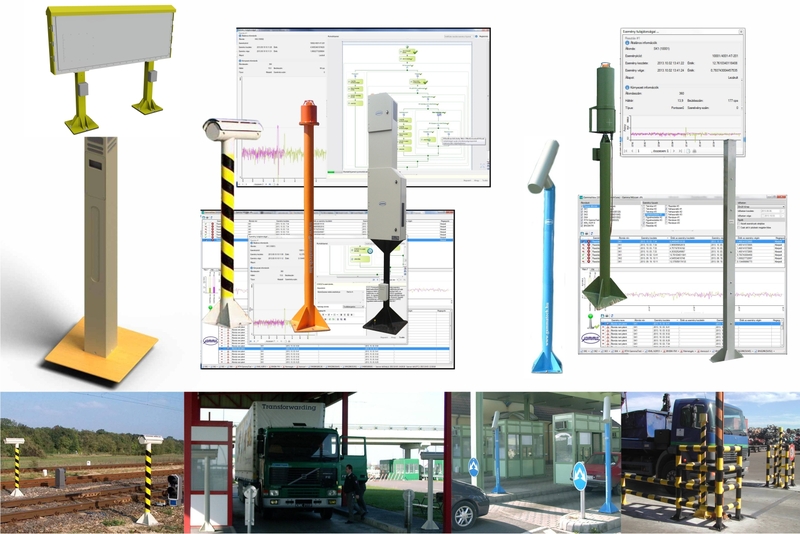 The BNS-94 radiation portal monitors are designed to detect nuclear materials and radioisotopes with scintillation probes highly sensitive to gamma and neutron radiation. .
General features: background, shielding and speed compensation, adjustable alarm levels, computer connection, displaying and data logging software. A wide range of accessories are available with the systems: barrier control, camera system, license plate identiﬁcation, remote surveillance, text messages, e-mail alert, data and event logging, optional gamma/neutron detectors on demand. Wired or wireless connection between system components is also available (Optical Ethernet, RS-485, SW radio, GPRS, etc). Types: BNS-94, BNS-94H, BNS-94L, BNS-94P, BNS-94ZG, BNS-94PH.